Trampolines in history: Where did they start? Despite how simple the idea of bouncing on a springy surface seems, trampolines are a relatively new invention, with a short history. Your parents or grandparents were probably born at a time when the modern concept of the trampoline didn’t even exist. Maybe that’s why some of us older prospective bouncers are a bit unsteady on trampolines! Trampolines have come a long way in recent years—Vuly has proven how the classic design can be redefined—but today we want to venture way back to the beginning of the bounce. Where did the phenomenon that we now know as trampolining start, and how were the early designs and uses of these devices distinct? While the modern trampoline wasn't invented until recently, there is evidence of rudimentary rebounding implements from many ancient cultures, which stretch back for thousands of years. Researchers have found pictograms in China, Egypt and Iran, which may depict the use of these proto-trampolines in celebrations or religious ceremonies. We don’t yet know their practical purpose, but from their inclusion in elaborate carvings, we can assume that these devices were highly valued. The Inuit people of Alaska are also famous for their use of rebounding implements, both recreationally and as aids for survival. These early trampolines were made from walrus skin, and were often used to spot animals from afar. One person would sit on the mat, and the group would act as springs—pulling the mat from all directions to launch the bouncer into the air. Think of how firefighters catch people jumping from burning houses with a large sheet, only in reverse! 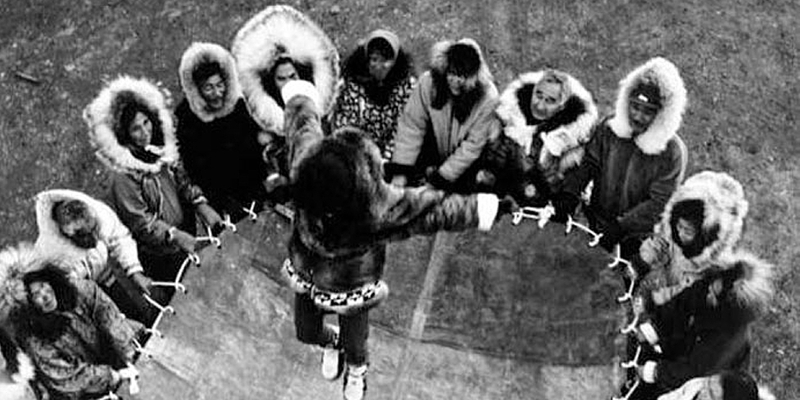 The Iñupiat Eskimos still carry on this custom as a celebration during Nalukataq, the traditional spring whaling festival. 'Nalukataq' even means 'to toss it up'. The basic trampoline design that we know today wasn’t invented until some time later, in 1935. 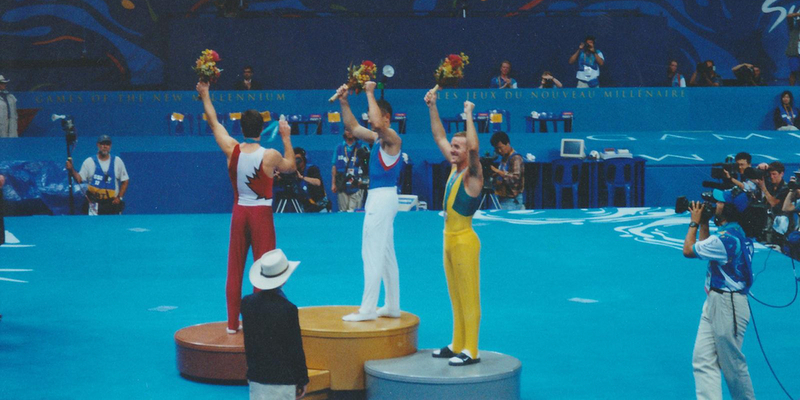 George Nissen and Larry Griswold, both extraordinary gymnasts, built the first ‘trampoline’ from scrap metal and canvas. Based on the nets used by circus performers, Nissen and Griswold intended their creation as a rig to help train tumblers, and to perform somersaults in more elaborate acts. They discovered, however, that it had much more potential in its own right. Nissen did anticipate that this potential would lead to a more ‘recreational’ life for the trampoline, but thought so in the form of games with two or more participants. Spaceball was one such example. It involved two teams of two on a trampoline—with vertical, rebounding ‘walls’ behind the players and in the centre—attempting to throw balls at targets. While Spaceball never really took off, it proved that the trampoline could find a home outside of training and performance. Sadly, trampolines only truly found their way into backyards after Nissen’s company went out of business in the 1980s, after a succession of injury-related lawsuits. However, Nissen himself kept bouncing well into his 90s—if you ever needed proof that trampolining helps you live longer! Other producers entered the market with improved safety, and the popularity of backyard models exploded after trampolining became an official Olympic sport at the Sydney 2000 Olympic Games. 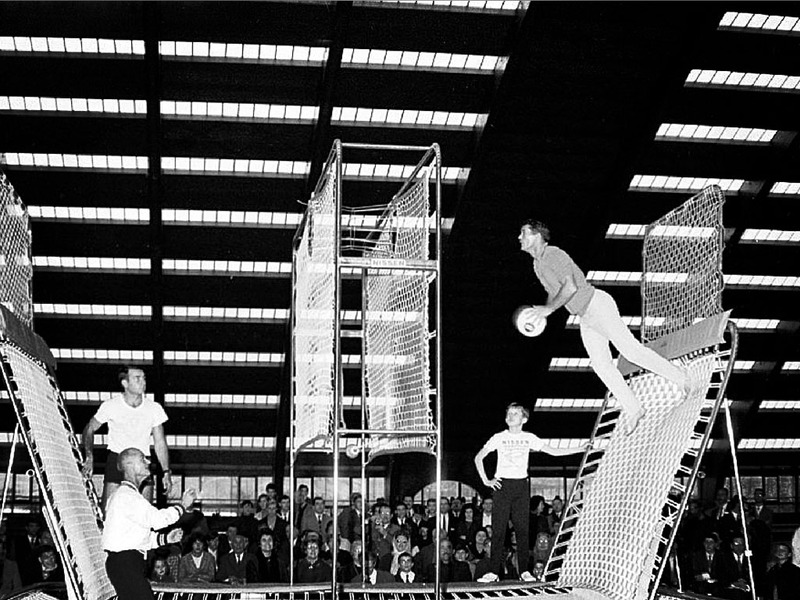 We’ll be back with parts 2 and 3 of our look at the evolution of trampolines. Next week, we’ll dive into current trampoline design and construction, including a look at how Vuly’s innovations have helped to transform the industry.